This is a great example of the best of post frame for agriculture. 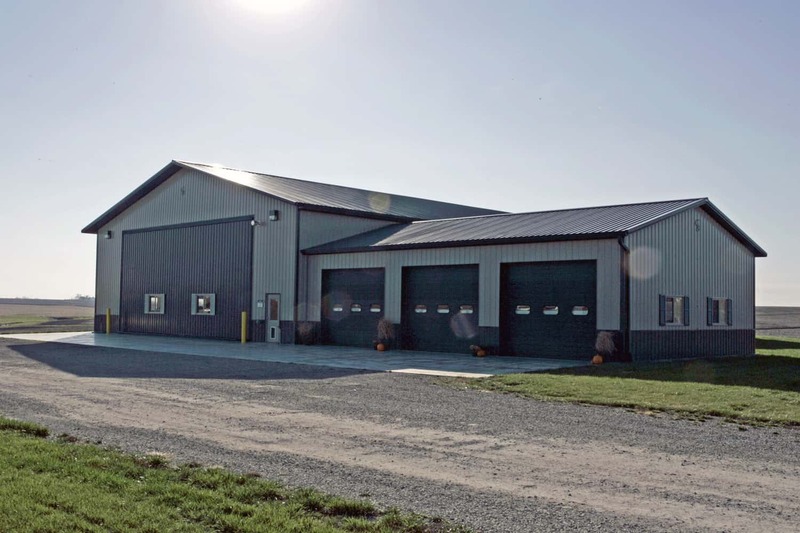 Features such as a large hydraulic door, overhead doors, slide-door, side-light, acoustic ceiling liner combined with large and small shop areas and cold storage combine to create an extremely versatile building. 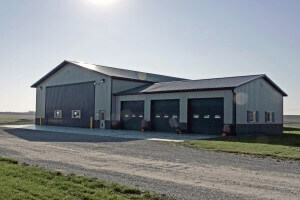 Three different large door styles truly allow for a building with many uses. 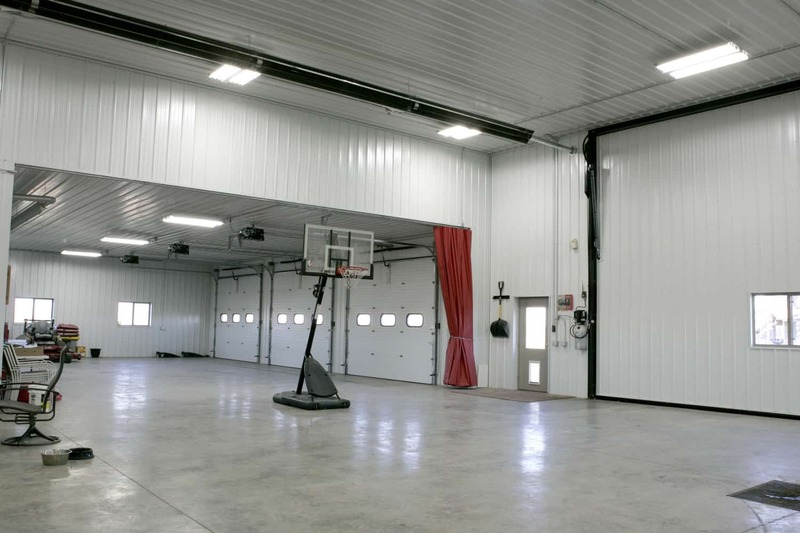 The hydraulic door and a large overhead door allow for easy drive through access to the lined and insulated shop. A slide door gives the same large opening to the cold storage area off of the shop. Post frame easily allowed for the flexibility to have different building section heights. Click below to download PDF’s of the project.